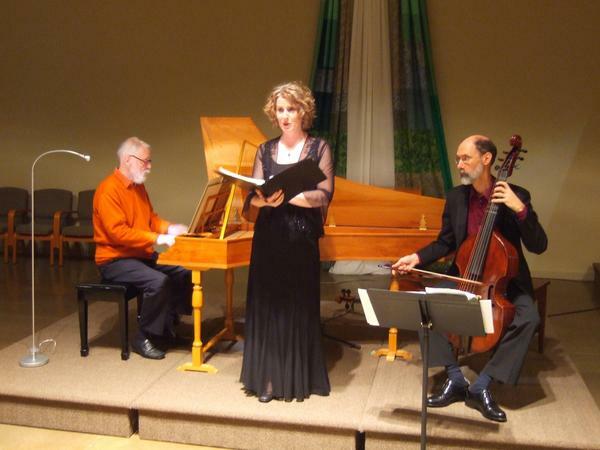 Nancy Washeim, carrying on a delightful Christmas tradition, will perform the Salve Regina D.676 (Op. 153) November 20th and December 1st , in Sooke and Metchosin. “I’ve really enjoyed working on the Salve Regina with Norman and the orchestra. It is wonderful to have the opportunity to sing something from Schubert’s sacred works. I have sung many of Schubert’s lieder or songs and have admired his beautiful melodies,” she told us. The Vespers were performed last June, at St. Andrew’s Cathedral in Victoria, Peter Butterfield conducting. The concerts on Saturday and Sunday will be held in the Sooke Baptist Church and the New St. Mary’s Church in Metchosin, and will be conducted by Wade Noble, with Norman Nelson in the Concertmaster chair.